"On December 7, 1941, my father's first war began. It was also my mother's 21st birthday, but I don't think the two were related. Daddy was under-age and in a protected profession as a Virginia coal miner, but he went in the Navy anyway. My father retired from active duty early in 1969, after service as a Chief Hospital Corpsman with the Third Marines in Chu Lai, Vietnam. His first tour there had been aboard the LSD, USS Point Defiance, but Chu Lai was enough for him. He moved his family to Virginia, which was his birthplace as well as mine, and registered with the Veterans Administration Medical Center in Salem, Virginia (VAMCS), where he had his yearly physical every August, and every other medical need he required for the rest of his life. He finished his 30 years in the Navy Reserve and was Honorably Retired. Then came the VFW, the Fleet Reserve ... you name it, he joined it. Inevitably he was a Commander, a President, a Governor, or whatever High-MuckyYuck ran all the vet's clubs. Be grateful Chief Davis wasn't a resident of St. Louis. He was Hell on Wheels, and I adored him. "Then came 1996. A healthy 75-year-old Chief showed a clean chest film, as usual, in August. That's when the time line for the nightmare began. November I - preparatory to roto-cup surgery on an arthritic shoulder, Chief Davis was administered another chest film. It showed a non-small-cell cancerous tumor the size of a grapefruit perched so high up on the superior vena cava that neither surgery nor chemotherapy was possible. Diagnosis: Terminal, 6 months to two years, if 33 radical radiation treatments began at once. They were. November 27 - the US Navy telephoned Chief Davis and informed him that his cancer had been caused by exposure to Agent Orange in Chu Lai, Vietnam 27 years earlier, qualifying him for benefits under the 1991 Agent Orange Act (91AOA). I was notified in Utah by my brother, Frank, Jr., and something in me went white-hot. It wasn't the cancer so much. Seventy-five year old men get cancer, although Daddy's 97 year-old mother and her two brothers thought he was much too young for it. My family is very long lived. It was the speed of it, the certainty of it, the out-and-out smugness of the Navy. They hadn't moved that fast since Pearl Harbor. They know. They had known all along. "I was aware of the 91AOA, but unfamiliar with it, so this naive Lifer's brat wrote to her Senator, the Honorable Orrin Hatch, to apply for Daddy's Purple Heart. 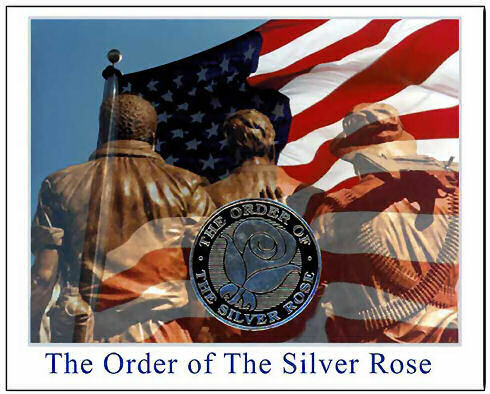 That was December 2, 1996, the day we now call the date that The Order of the Silver Rose was born. It never occurred to me that, in creating such a landmark piece of legislation, the Congress of the United States would leave out the ONE THING these heroes needed the most ... their self-respect. I thought the Purple Heart would be automatic, and it would have pleased Daddy to think that his life had been lost in service to the nation he loved so well. God, was I naive! His final radiation treatment was two weeks before Christmas. I went home to find my father half the weight he had been in July. My family clung desperately to the 2-year prognosis, but I could see with the new eyes of distance. The Chief signed 7 waiver's of the Privacy Act for me, one for the Commander in Chief, one for my Congressman and one for his, two for his Senators and two for mine, although he thought my quest hopeless. "January 7, 1997, Chief Frank Davis, his wife (my mother), and my grandmother, Ida Pearl Ketron Davis, qualified for pensions under the 91AOA. The VA was great. They did their best for him. February 19, he "Crashed". I got on the red-eye for Virginia, although the doctors said I would never make it in time. Doctors don't know Davis's. We're stubborn. Brother Frankie's open arms awaited me at the end of the airport runway, saying, "He's waiting for you," while Brother Charlie must have crawled up that carousel for my bag, and ten minutes later I was in Daddy's room. That stubborn old salt had every marble he was born with, and he clung to life without a lung to breathe with or even a respirator. I stayed three weeks with him, while the doctors stood agog, but the time came for me to return to my Utah home. The day before, my dear friend and jeweler Ginger Mumpower visited him with me. You can't take flowers to ICU, but Ginger solved THAT problem. From her store's silver display case, she removed a plastic rose coated with mylar silver ... a beautiful Silver Rose. The Chief was tickled to death. I can still see it. He held it up so that it twinkled in the early spring sunlight, and laughed out loud saying, 'The Order of the Silver Rose! I'd rather have this than all the Purple Hearts in the Pentagon!' I was aghast! After all my work! But Daddy explained it. 'Ginger's a hundred times prettier than the Commander in Chief.' He had me on that one. He was seventy-five and dying, but he was a man and he was a sailor. I'll never forget how he laughed, how WE laughed that day. The next morning I went to see him before my plane left. The doctor said that he could last another six months. So I looked into his huge brown eyes and said good-bye, and he made me promise to bring my husband Jay back next time. I promised. "Back in Utah, I continued my fight. I hold the distinction of having been turned down by all of the very best people in Washington. On March 13, 1 filed my first DD149, in spite of all the people who had told me that a Purple Heart for Agent Orange was illegal. But beware the Ides of March. Sometime before 700 hours, Chief Davis answered his Pilot's call in his sleep. Five days, and I was on another red-eye, gripping Jay's hand for 2400 miles, so that I could brace myself for the sound of gunfire over the finest man I ever knew. "Three weeks later, Senator Hatch wrote to me and told me not to give up, that if Agent Orange vets were ever to receive the Purple Hearts they deserved, it would be because I didn't give up. I cried, and something twinkled through the mist of my tears. It was Daddy's Rose. "I tried so HARD. I hadn't asked for any benefits, I was willing to settle for the Agent Orange Act as it was. All I wanted was $7.50 worth of silk and brass to say that he had died for his country. Just a line on his DD 214 to show his great-grandchildren what a quiet hero is, that there is gallantry in healing the wounds of war, and in dying with a twinkle of silver and a tinkle of laughter. He wasn't good enough for the Purple Heart, but he was good enough for a Silver Rose. So I made my own medal." Agent Orange, a chemical defoliant, is and was a weapon of war deployed by American Forces against the enemy during the Vietnam War. Accidentally, many of our own servicemen and women were also wounded and killed by it. For those wounds, according to statutory law and military specifications and regulations, as with all other wounds received in a combat zone, our Agent Orange heroes qualify for the Military Order of the Purple Heart. However, no Military Order of the Purple Heart has ever been awarded to a Vietnam veteran for Agent Orange wounds. This is a grave injustice. We, the Selection Committee of The Order of the Silver Rose, believe that the people of the United States need heroes, and we have been overlooking too many of them. It is the mission of this organization to recognize the courage, heroism, and contributions of American service personnel found to have been exposed to Agent Orange in a combat zone, and who have been identified under the 1991 Agent Orange Act of Congress. Personal sacrifices have gone neglected by the very nation for whom those sacrifices were made. 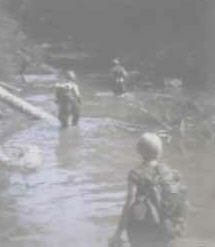 We refer specifically to The Military Order of the Purple Heart (herein frequently referred to as "the Purple Heart"), and the capriciously inconsistent methods by which its requirements, which are simply and clearly stated in military regulations, have been used to exclude, rather than include, American Agent Orange combat heroes. We believe that the Purple Heart, our most venerable military decoration, should be awarded to ALL combat veterans wounded or killed in action against an enemy of the United States; although at this time we focus our attention specifically on the Vietnam War and the defoliant Agent Orange which was deployed there. We are aware that many other injustices have been perpetrated on Vietnam veterans, but at this time, the matter of Agent Orange is the only injustice for which we have court decisions and federal legislation to back our claims. Therefore, we choose to fight one dragon at a time, in hopes that our example may eventually light the way for those who will one day take up the remaining gauntlets of injustice. Purple Hearts should be dispensed thoughtfully and evenhandedly. A combat veteran who is wounded or killed in action is entitled to the Purple Heart, regardless of the source of the wounds. In our Quest for the Purple Heart, we have learned that ignorance is contagious, and misery knows no fatherland. There is no copyright on pain, and no statute of experience garnered through wading through miles of red tape, trying to find someone with the courage necessary to force the President to enforce existing law and give our armed forces all they ask for ... simple Justice. There can be no doubt that Vietnam veterans exposed to this deadly defoliant and identified under the Agent Orange Act of 1991 deserve Purple Hearts. Executive Orders, Public Law, and Military Regulations specify it in black letter law. Only Presidential Policy stands between the service personnel and their medals. The President is the only person who can change Executive Policy, but he can, indeed, do so, with a single stroke of a pen. The President of the United States, at this time, is in violation of Executive Orders and Public Law, and even the Military Regulations to which he is subject as Commander in Chief. Purple Heart Law, specifically U.S. Naval Regulations, contains no discretionary clause by which personnel can be excluded. It MUST be awarded to a combat veteran who has been wounded or killed in a war zone. Those service personnel whose lethal exposure to Agent Orange resulted in internal, invisible wounds, which are revealed only by the passage of time, are nonetheless eligible to receive Purple Hearts. Unfortunately, at this time, Agent Orange exposure is NOT considered an eligible wound, because that is the President's present political policy. Unlike the other military decorations, the President of the United States alone is responsible for its dispersal and standards. Although President Kennedy, in Executive Order #1016, authorized the Secretaries of each of the Armed Forces to bestow it on his behalf, the standards for awarding Purple Hearts remain in the hands of the occupant of the White House, unless they are uniformly altered across all branches of the Armed Services, as approved by the Secretary of Defense. Regulations at this date are NOT uniform. Any existing regulations that require that the Enemy inflict an injury are in direct conflict with both the letter and the spirit of Executive Orders concerning "friendly fire". Any regulations that require that a wound be treated and recorded at that time have lost touch with the realities of modern chemical warfare. Americans who were exposed to mustard gas in World War I received Purple Hearts. Ask any wounded survivor or Hiroshima or Nagasaki today (many of whom are American Service personnel), and they will tell you that they were wounded by a bomb, a weapon so insidious that its results could be impossible to detect at the time. It is for these reasons that we have created The Order of the Silver Rose. We will never stop praying that the doors to the Purple Heart will someday swing open wide enough to admit all service personnel who have earned it. Until that day comes, we cannot allow our particular demon to continue to run unchallenged in America. We battle the Dragon of Prejudice armed only with a Silver Rose, desiring to win simple honor and respect for these heroic personnel who have already earned it. That honor and respect is embodied in The Military Order of the Purple Heart. However, if the Armed Services refuse to recognize and reward these American heroes, then we will do it. As our pleas to the White House go unanswered by the President, we solicit a Joint Resolution of Congress to bring pressure upon the Commander in Chief to Right this thirty-year-old Wrong. We do it proudly, because we are the children of American Heroes. Mary Elizabeth Davis Marchand died April 15, 1999. Her death was devastating for me. Her ideas and recognition of our beloved Vietnam Vets, I felt, had to continue. 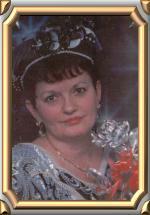 I contacted her husband Prof Jay Marchand in May 1999. Only through his total cooperation have I been able to continue Mary's "baby". Jay generously mailed me all of Mary's Agent Orange materials and, as you note, also wrote me a beautiful letter giving my efforts his blessing. The Silver Rose lives and only with your support will it be able to recognize and honor our brother and sister Vietnam Veterans.